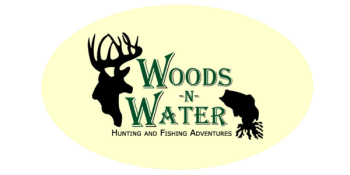 Blaine Burley, the owner of Woods-N-Water, Inc., is an experienced land manager, wildlife management/hunting property consultant and big game hunter with over 35 years of experience. As President of Plotmaster Systems, LLC, Blaine (Inventor of the Plotmaster) developed a complete line of revolutionary all-in-one food plot planting machines for ATVs and tractors including a professional series of Plotmaster equipment which is currently distributed through John Deere/Frontier Equipment. Blaine has also harvested numerous trophy whitetail deer and other big game animals throughout North America. During his many years in the field, he has gained valuable knowledge and experience in managing hunting/fishing properties and locating/harvesting big game animals. As President of Tecomate Wildlife Systems, LTD, Blaine worked closely with his partners David Morris (North American Whitetail founder/World-Renowned Whitetail Expert) and Gary Schwarz (Tecomate founder) to develop a landmark food plot system (Tecomate Food Plot System) using revolutionary Tecomate seed products, state-of-the art Plotmaster planting equipment and innovative land management techniques to produce a food plot system that is producing Record-Class bucks (on an unparalleled basis) on small and large properties throughout North America. Blaine holds a Master of Science (M.S.) – Environmental/Natural Resource Management and a Bachelor of Science (B.S.) - Civil Engineering (Environmental Tract) from the U.S. Air Force Academy. Blaine served as a Natural Resource Officer in U.S. Air Force and retired as a U.S Air Force Captain in 1995. He also served as a Field Host for the popular “Bucks of Tecomate” and “Tecomate Whitetail Nation” TV Shows on the Outdoor Channel for 8 years.